Saltbae knows how to add a sprinkle of style to any situation…even democracy. The suave and elegant meat carver has not failed his fans, and posted a photo of himself voting in today’s landmark Turkish referendum. 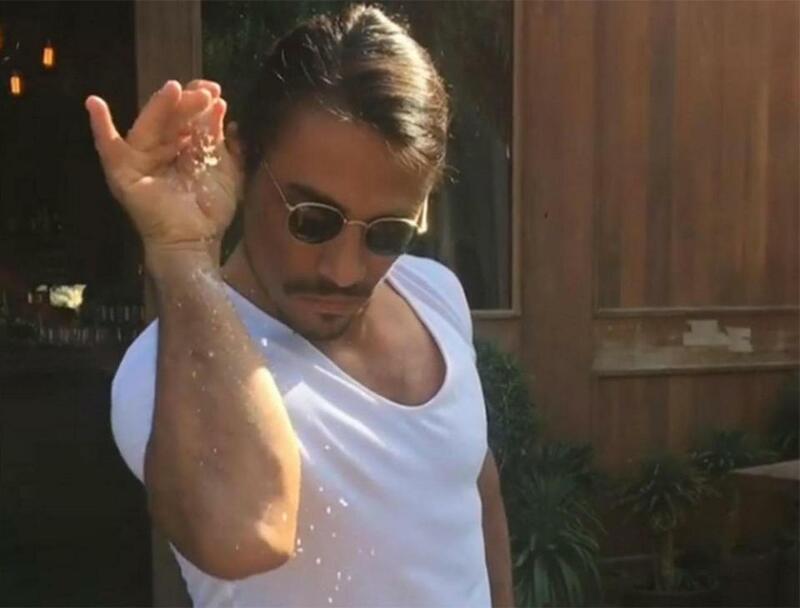 Saltbae, who owns the renowned steakhouse chain Nusr-Et, became famous after he finished his addictive ‘Ottoman steak’ carving video with a signature sassy salt sprinkle. Saltbae submitted his vote armed with his classic deep V t-shirt and a poised arm. A ‘yes’ vote in the Turkish referendum would grant president Recep Erdogan sweeping new powers and could see him in office until 2029. Saltbae is one of about 55 million eligible voters.